The luxury sedan is uniquely positioned in the automotive world, seamlessly blending exhilarating power with smooth handling and some of the finest creature comforts available in a vehicle. Luxury sedans sell themselves less on price or utility than on providing the best possible experience for drivers, and the crowded field of competition can make it difficult to identify the best of the best. Fortunately, if you’re searching for the perfect vehicle to fit your needs, you’re likely to find it below among the top 2016 luxury sedans on the market. The S-Class has long been the flagship model for Mercedes-Benz, often setting the bar for luxury automakers across the world. That’s still largely true, but the S-Class has now evolved to encompass a whole range of flagship vehicles. You can choose from a tremendous number of trim levels, all of which feature outstanding power and performance. You’ll even find a sedan to suit your tastes if you prefer something a bit greener, as the S550e sports a powerful plug-in hybrid drivetrain that offers an excellent balance between power and efficiency. 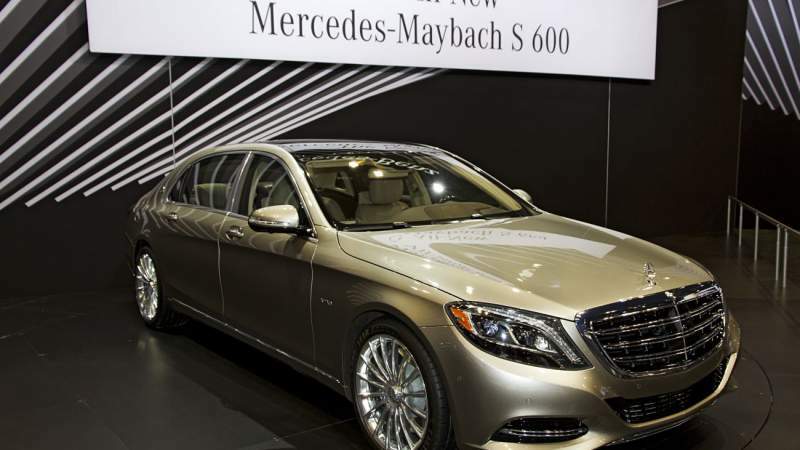 However, it’s the superlative ride quality that sets the S-Class apart as one of the finest luxury sedans around. With its precisely tuned adaptive suspension and an optional feature appropriately dubbed Magic Body Control, the S-Class glides over the road with a level of comfort and stability that is virtually unmatched. The handling, while lacking the aggressive feel of some of the sportier luxury options, is still sharp and responsive when it needs to be. Inside, the cabin is decked out with materials of the highest quality and features plush seating that is among the most comfortable you’ll ever find in a vehicle. You’ll also find such a dizzying array of features and entertainment options that it may take some time to navigate them all. Combining satisfying power with an undeniably exceptional luxury experience, it’s no wonder the prestigious Mercedes-Benz S-Class is again among the best luxury sedans in the world. Luxury vehicles are rarely expected to be flashy and ostentatious, and that’s good news for the BMW 7-Series. Though it’s certainly an attractive sedan thanks to an aggressively stylized front end, flowing lines and tasteful accent pieces, the 7-Series has seen few major aesthetic changes in recent years. Instead, it’s the changes made beneath the surface that make the 7-Series one of 2016’s premier luxury sedans. Perhaps the most notable refinement is the implementation of cutting-edge engineering technologies, including a “Carbon Core” structure that employs a combination of carbon fiber-reinforced plastic, ultra-high tensile steel and lightweight aluminum to shave at least 90 pounds off the sedan’s frame without sacrificing strength and safety. The suspension and other components, too, have undergone weight-saving measures to help produce a surprisingly light, nimble luxury sedan. As BMW is quick to point out, the 7-Series also maintains the fabled 50:50 weight distribution. Under the hood, BMW’s much-lauded engine lineup remains largely the same. Depending on your trim level of choice, you can rev up a TwinPower turbocharged 3.0-liter V6, a 4.4-liter TwinPower turbocharged V8 or an all-new hybrid engine that mates a 2.0-liter turbocharged gasoline engine with a spunky electric motor. Each of the engine options provides plenty of power, while the lighter body and high-quality suspension lend the 7-Series a luxurious ride with sharper, more dynamic handling. Rounding out the package with a whole host of innovative, high-tech driving assists and safety features, a comfortable and spacious interior and a cockpit well-stocked with infotainment options, you simply can’t go wrong with the 2016 BMW 7-Series. Cadillac has been hard at work for several years reworking and updating its image among discerning car buyers, but it’s taken some time to develop a true flagship sedan. The wait was worth it. If you’re seeking a relatively affordable, fun-to-drive sedan that doesn’t skimp on the quality expected of luxury-class vehicles, the 2016 Cadillac CT6 may very well be the car for you. The CT6 is based on a stretched-out CTS design, opening up ample cabin space for drivers and passengers alike. Despite the extended body, however, the CT6 maintains a deceptively light weight thanks to inventive engineering and high-quality materials. That lightweight body – weighing in well below competing sedans from BMW and Mercedes-Benz – is put to good use thanks to a trio of excellent engine options. You can choose from a 2.0-liter 4-cylinder turbo, a 3.6-liter V6 and a 3.0-liter twin-turbo V6, all of which produce enough power to give the CT6 the kind of snappy acceleration and top-end power needed to compete in a class filled with competent performers. The CT6 is a nimble, responsive driver despite its generous proportions, hiding the heart of a sport-compact beneath its full-size luxury surface. Speaking of luxury, the Cadillac CT6 will not leave you wanting for options. The cabin sports a number of delightful features, including USB ports and an electrical outlet tucked in below the rear seats for passenger convenience. The CUE infotainment system has undergone improvements to create a quicker, more responsive experience, and the touchpad built into the center console provides additional control options. If you’re looking for a high-end sonic experience, the optional 34-speaker Bose Panaray sound system offers one of the finest in-car audio experiences around. While the interior doesn’t have quite the same polished, luxurious refinement found in some high-end sedans, the mash-up of sporty performance, unique design cues and a cavernous, tech-infused cabin makes for a real contender as one of the top 2016 luxury sedans.